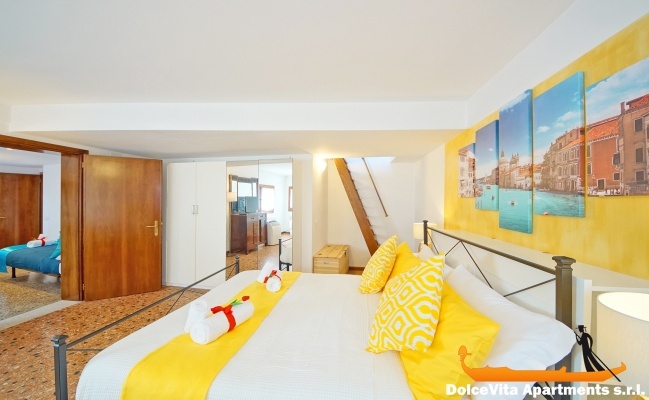 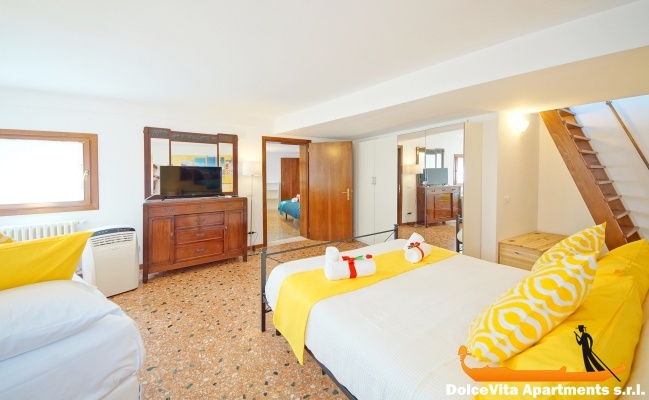 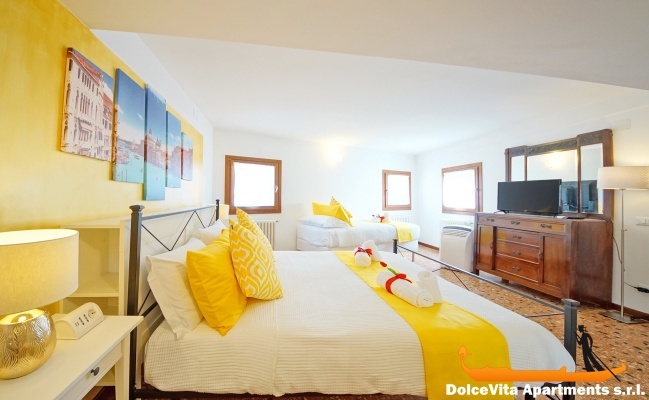 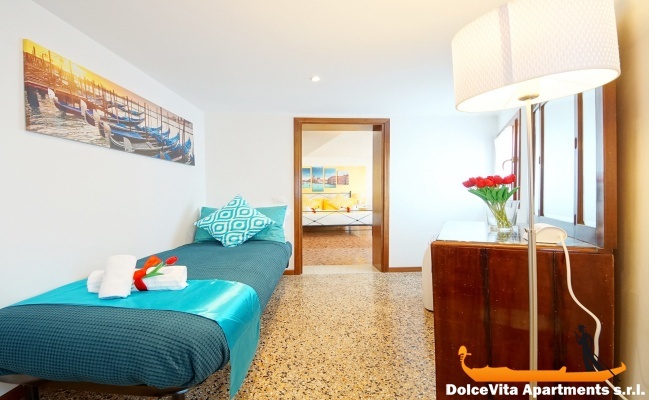 Apartment N. 441: It can accommodate up to 6 people, it is rented from 88 € per Night (not per person). 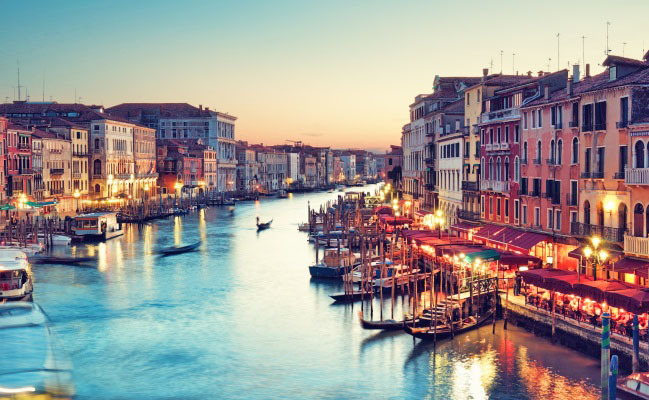 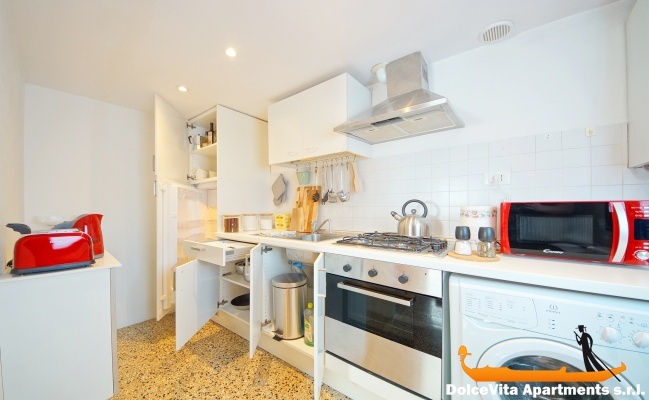 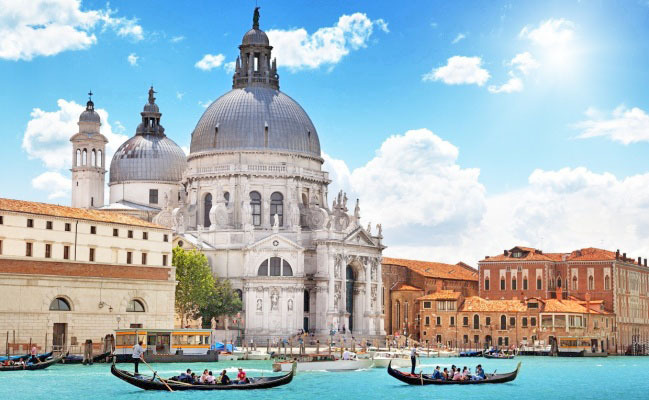 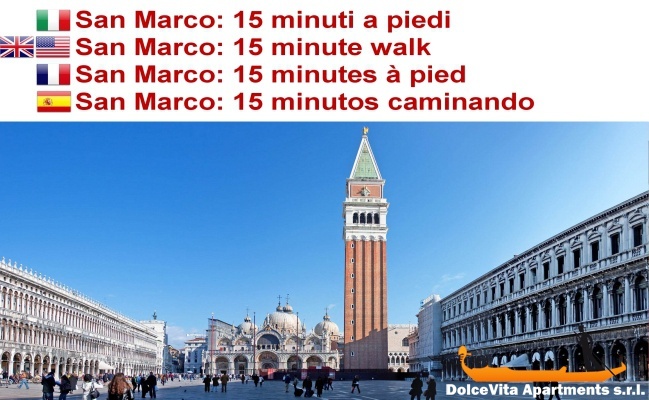 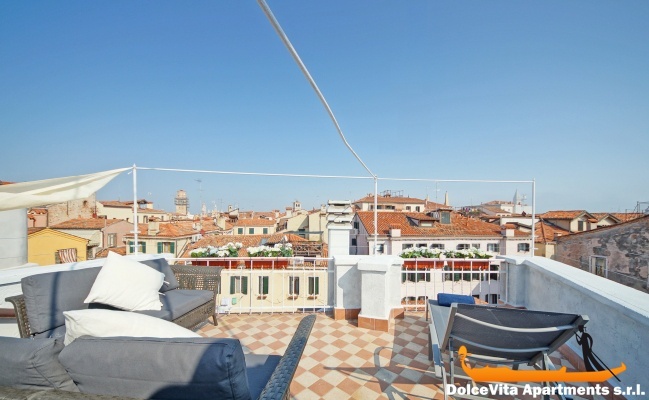 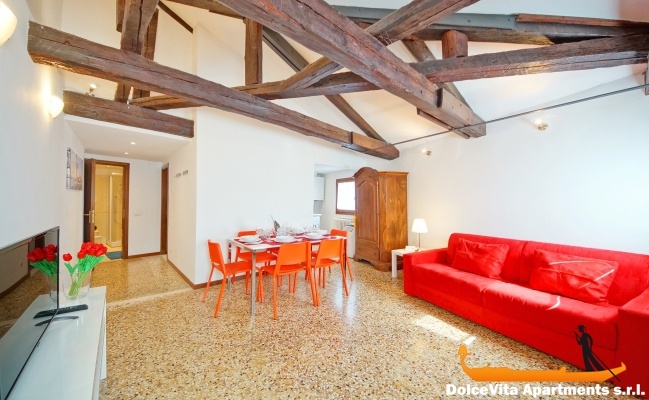 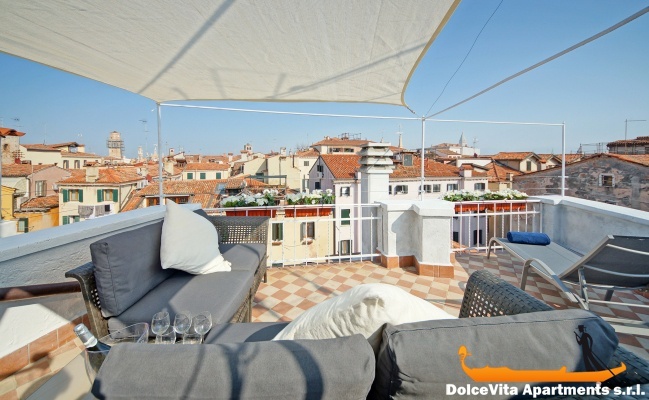 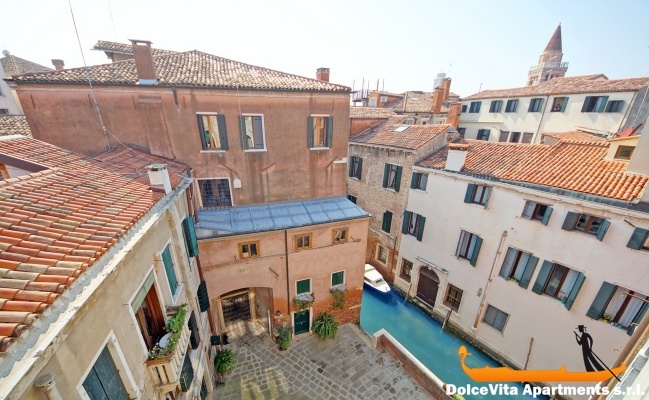 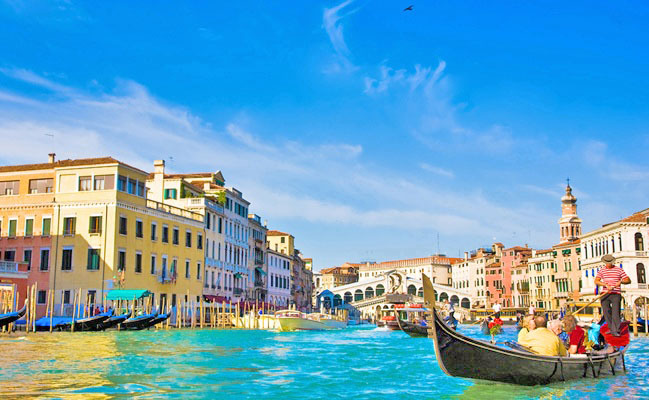 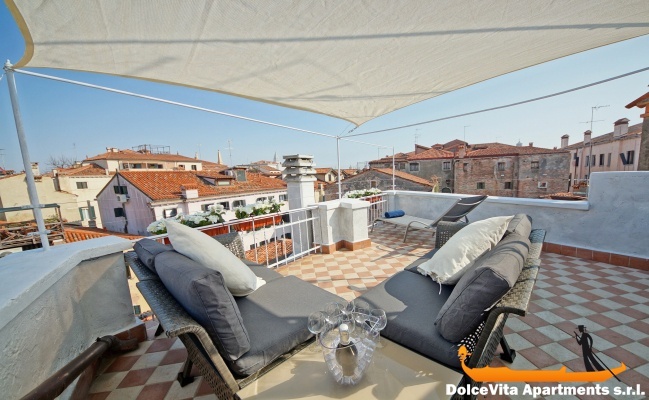 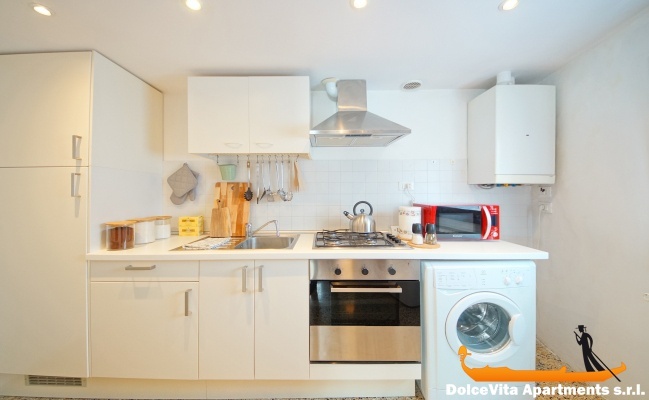 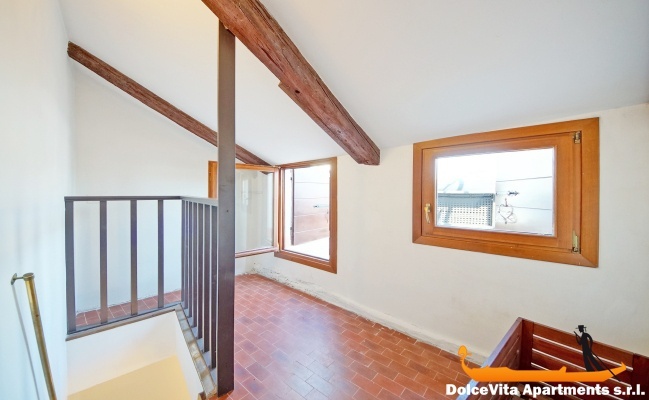 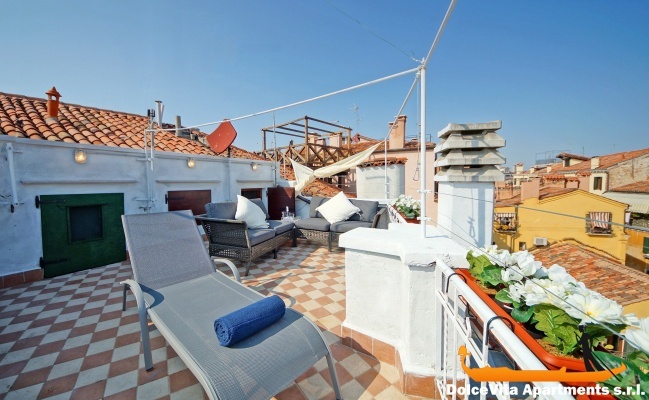 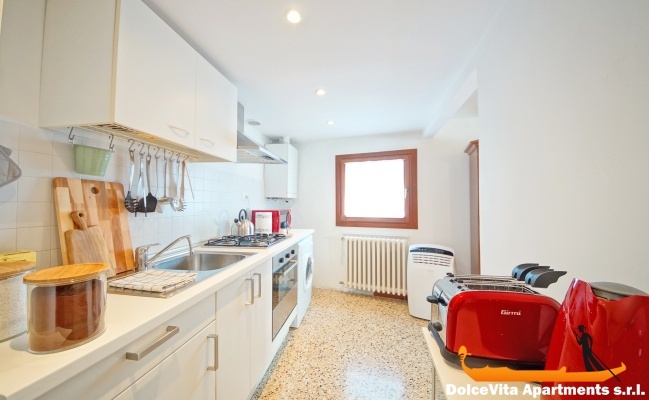 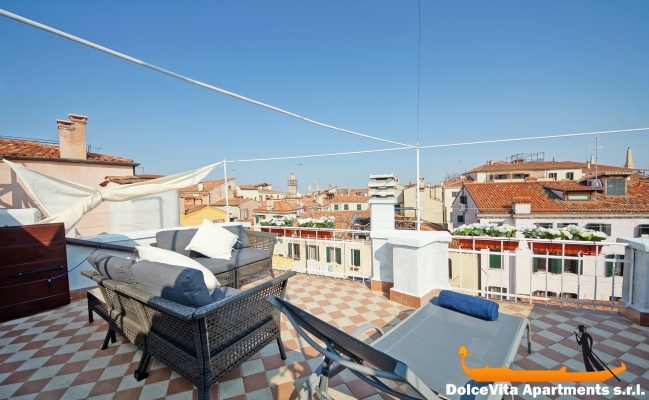 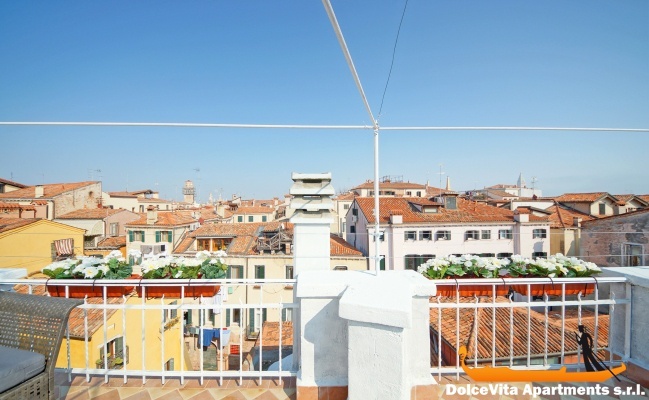 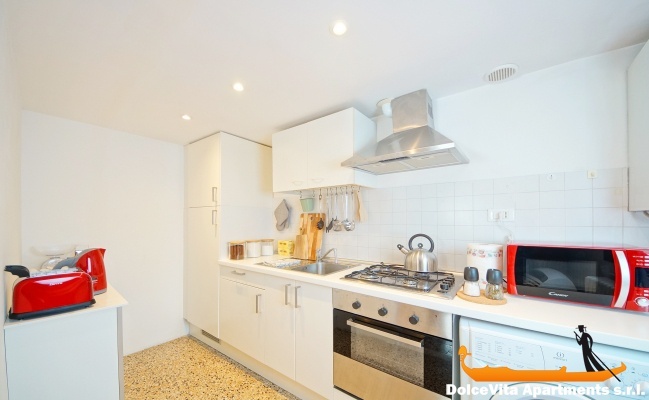 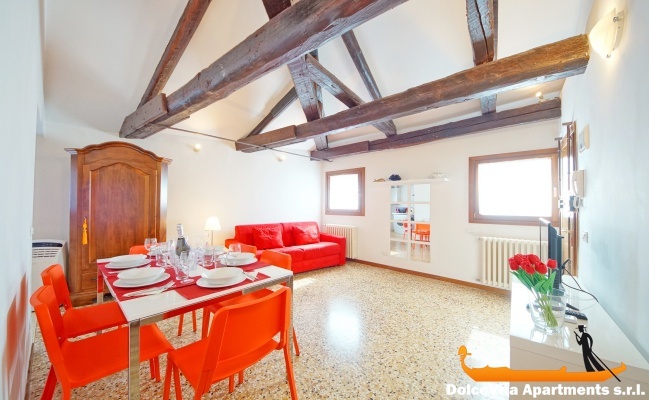 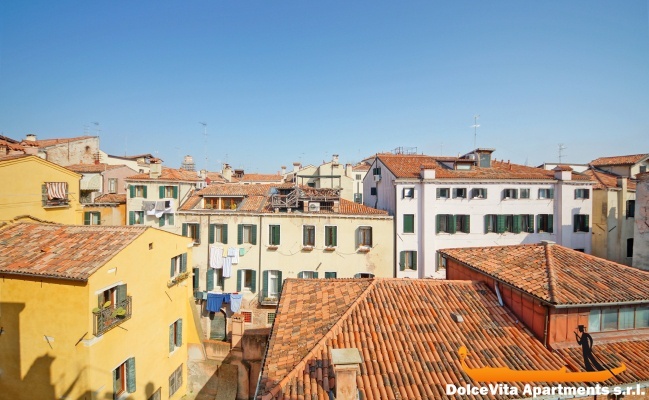 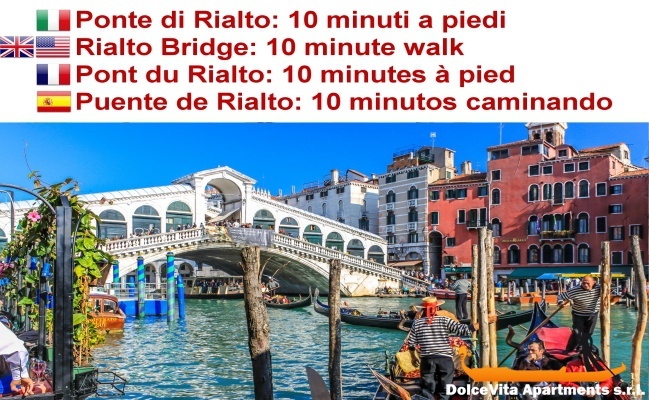 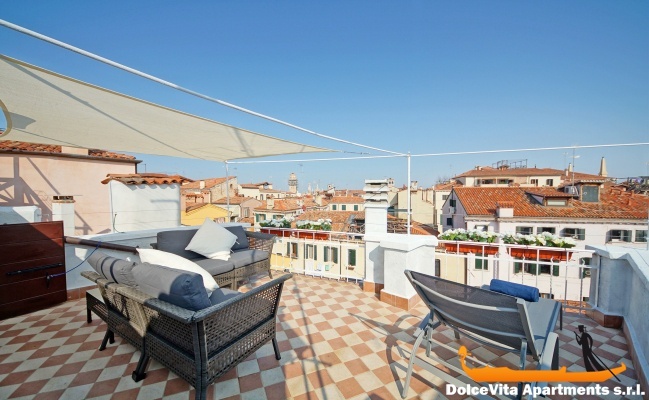 Venice Apartment with Terrace for 6 People: This apartment in Venice of 90 Square Meters is located in the historical center of Venice, in the San Polo district. 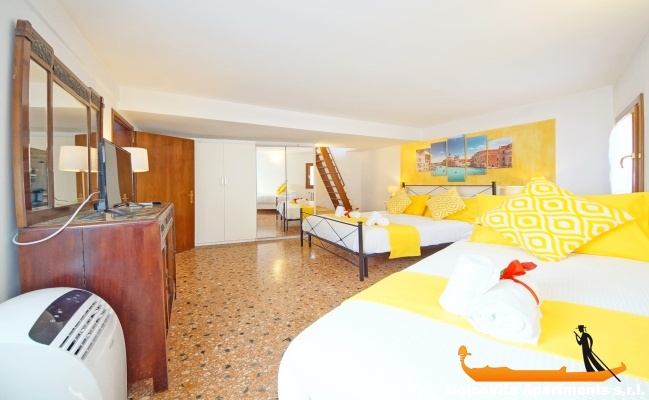 It is located on the Fourth Floor, it can accommodate up to 6 people and it has 2 bedrooms and a bathroom. 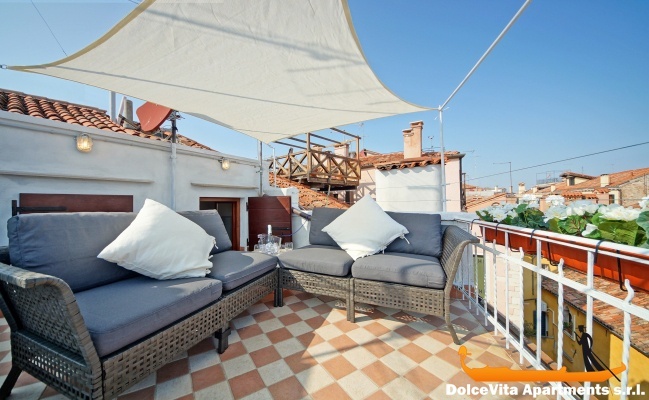 The terrace is accessible all year. 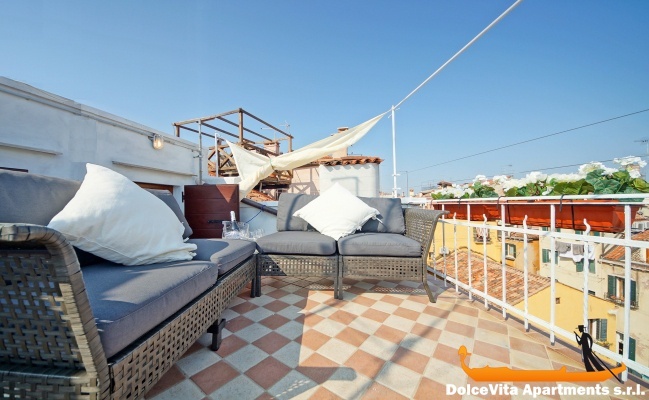 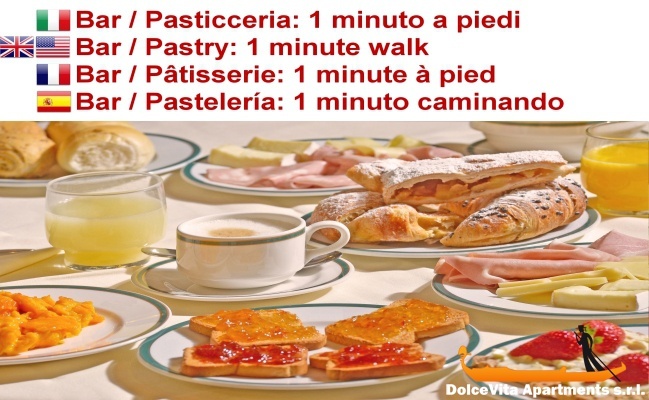 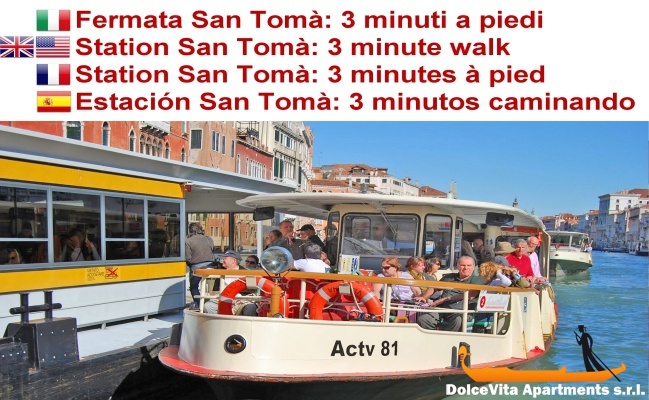 The sofas, the deckchairs and the table will not be usable in December, January and February due to low temperatures.